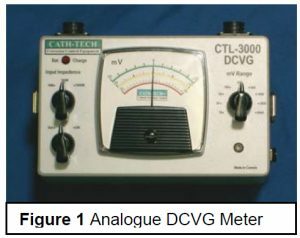 Combined Close Interval Potential Surveys and Direct Current Voltage Surveys for Increased Pipeline Integrity | Cath-Tech Cathodic Technologies Ltd.
GPS coordinates. 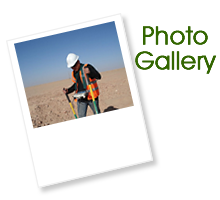 This provides information for accurate mapping of the pipeline location, current state of the cathodic protection system, and further allows personnel to accurately locate areas requiring excavation for coating repair. 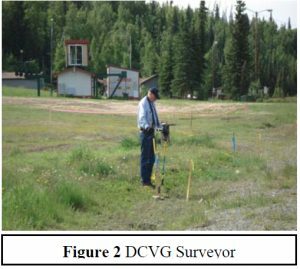 This paper will show by example how combined CIPS and DCVG surveys undertaken to NACE standards are of benefit to pipeline operators in ensuring cost- and time-effective integrity management of their pipeline systems. the level of cathodic polarization and an analogue (See Figure 1) direct current voltage gradient (DCVG) survey to determine the location of coating defects or holidays. 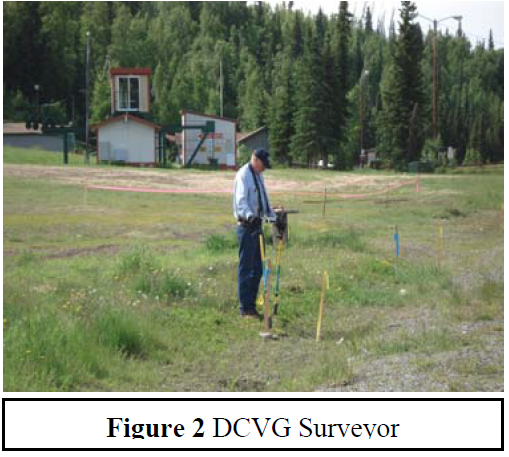 Undertaking the CIPS and DCVG surveys separately leads to spatial errors. Further, if the surveys are not done concurrently, errors can result due to differences in soil moisture content, the skill of the operators undertaking the survey, changes in the level of cathodic protection and the inability to accurately mark or record the location of coating defects, they must be manual staked out. (See Figure 2).